A special guest from Thailand made the VII meeting of the Eurasian Creative Guild (London) in Minsk! The VII meeting of the Eurasian Creative Guild in Minsk was held on August 10th, 2018 with a warm and caring welcome to around thirteen art connoisseurs and talented people who were gathering there. As we expected, the meeting was held at an very high standard: it was informative, creative, interactive and inspiring. Foreign guests were not only in a positive mood, but also left with thoughts of extremely useful information. A special guest from Thailand a member of the ECG (London), writer Elena Zyulkova, told about her life and successful work in Thailand and about the prospects that opened to her after joining the Eurasian Creative Guild (London). Elena shared the common joy about the VII International Festival, the “Open Eurasian Literature Festival & Book Forum” that will be held on November 23 – 25 in Bangkok, Thailand. It allowed the audience to enjoy her beautiful poetic work as they understood more about her passions and ideas. The chance to acquaint the audience with their creative work was very interesting. 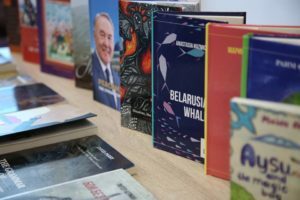 The public warmly received the talented works of Belarusian authors. And thus, writers such as Tatiana Bestvitskaya had the opportunity to read several of her piercing poetry for the guests: both in Russian and in Ukrainian. The source of inspiration for the audience was the poem written by Anastasia Kuzmicheva. And it’s important to keep in mind that one of her books has already been published thanks to the Eurasian Creative Guild (London). The honorable guest, member of the guild, former Ambassador of Belarus in the United Kingdom Vladimir Schastny, whose book were dedicated to the Belarusian artistic genius Leon Bakst, is scheduled to be released with the assistance of the guild. The experience of the guild’s meetings in Moscow was shared by a special guest, Artem Aitov originating from that glorious city. The guests of the meeting had the opportunity to watch the film of the Eurasian Creative Guild (London), dedicated to one of many meeting to come. From the speech of the vice-chairman of the Eurasian Creative Guild (London), the director of the Hertfordshire Press, the organizer of the Open Eurasian Literature Festival & Book Forum, Marat Akhmedjanov, the audience learned about the aims and tasks of the guild, the planned events in Minsk, the festival in Thailand and the Literary Week in London. 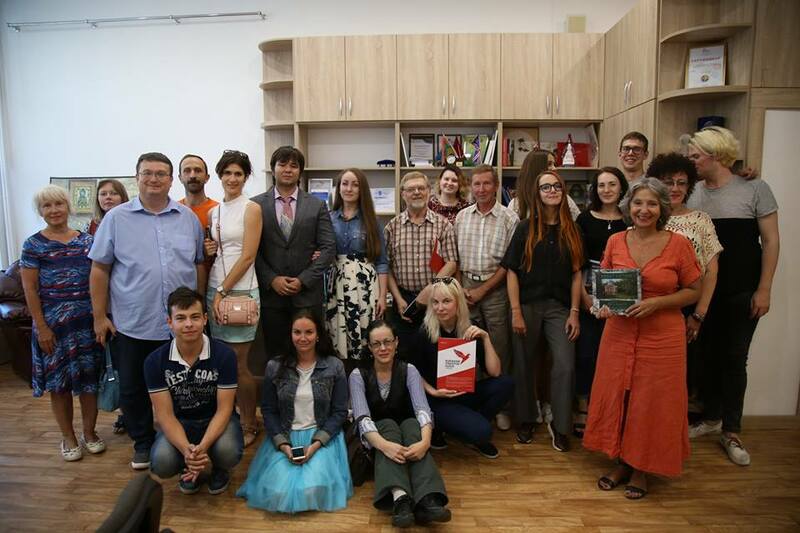 Opening of the second Internship of the Eurasian Creative Guild (London) in Minsk was marked by a bright performance by one of the eight talented trainees – Elena Zhilinskaya, who reported on the working moments and grandiose plans of the team. 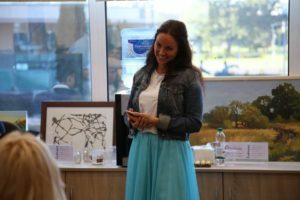 The interactive part of the presentation presented to the trainees was directed by Anna Konchakova, whose aspiration to become part of the internship has led her to Minsk from Tuva (Russia). A pleasant and touching moment was the presentation of the membership certificates to the newly-made trainees of Eurasian Creative Guild (London). During the informal part of the event, the guests not only benefited from communicating with each other in a relaxed atmosphere, but also were able to get acquainted with the books published by Hertfordshire Press, of which the production would be impossible without the assistance of the Eurasian Creative Guild (London). We express our great gratitude to everyone who became part of the VII meeting of the Eurasian Creative Guild in Minsk and wholeheartedly wish you success, inspiration, and new achievements. We express gratitude to our trusting partner – Association “BelBrand” – for their interest in the event and assistance in organizing the meeting of the ECG (London). Such meetings fill us up with motivation and a desire to move forward, work and create for the prosperity of our creative society.